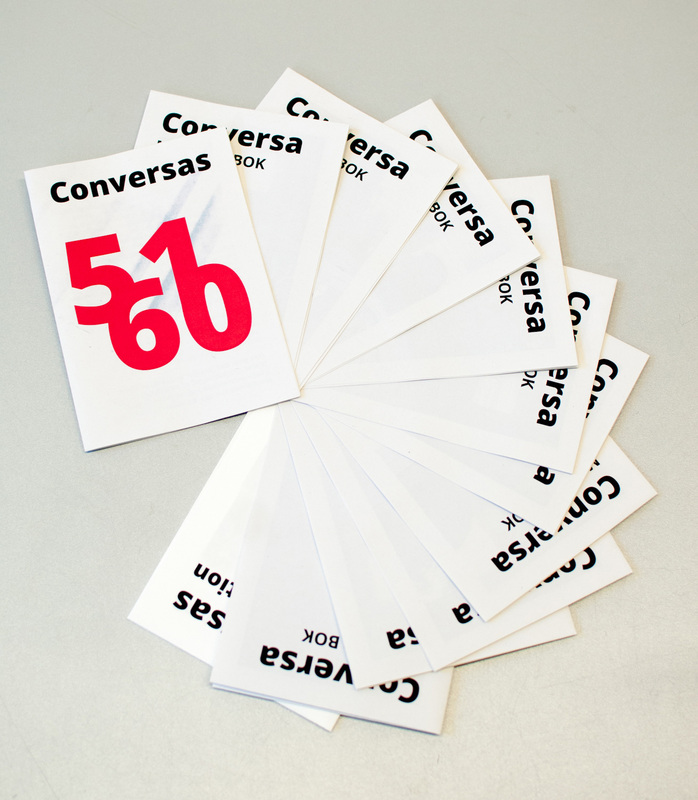 Conversas is a series of informal weekly discussion groups focused on individual practices and projects. 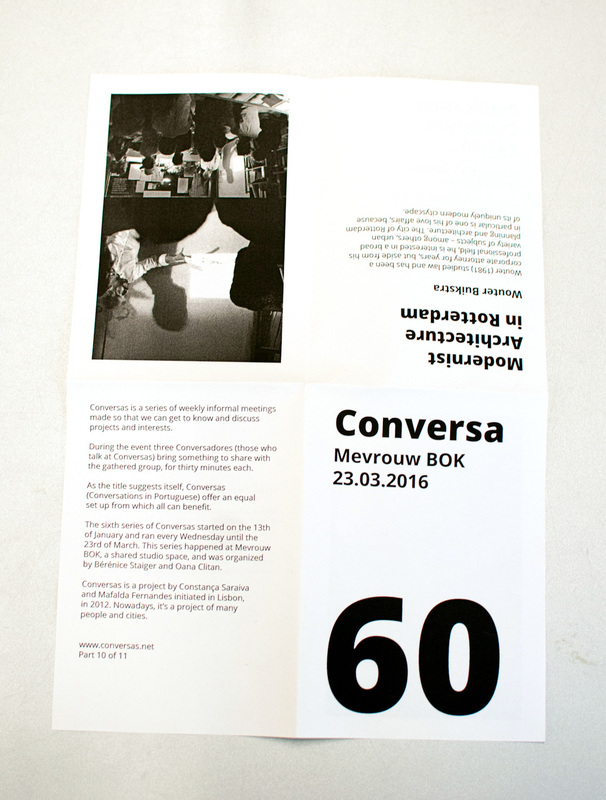 I was commissioned to create a publication for the topics and developments during event 51 through 60. My concept for the publication was that these meetings functioned as a catalyst for creation beyond the limitations laid out by Conversas. I took inspiration from printed matter such as trading cards and calendars. 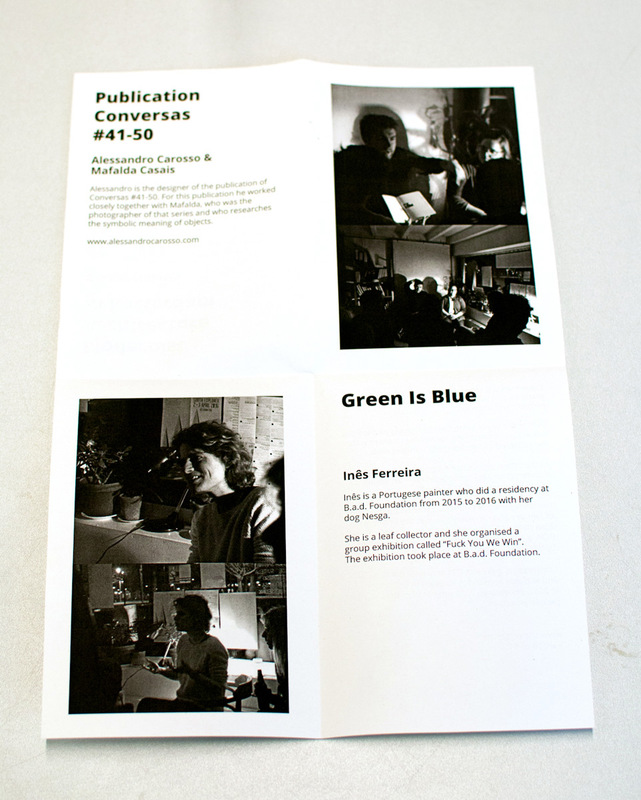 The publications are created as ten folded A4 pages and one folded A3 page, that all together come to form a collection that can easily be mixed and matched. 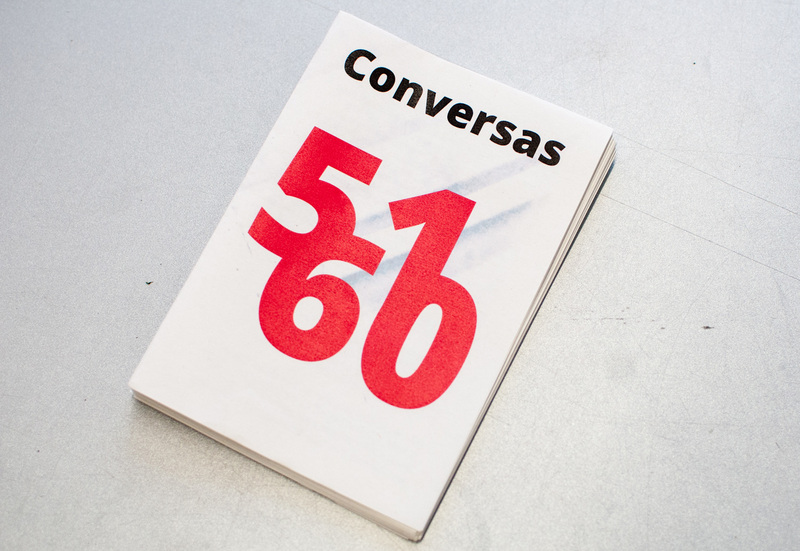 Just as each Conversas exists independently from the next, each page exists as an isolated publication that is part of something bigger. 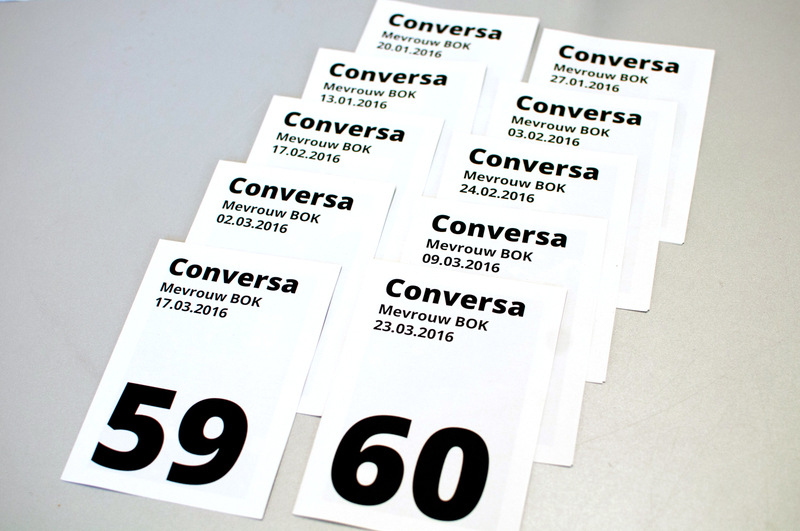 The publications are printed in an edition of 50 copies, all uniquely numbered by hand. The publications are printed in an edition of 50 copies, all uniquely numbered by hand.